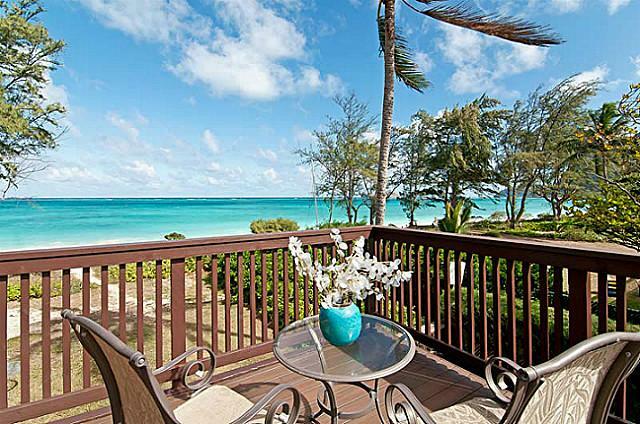 City living by the ocean – yes this is possible in Hawaii, particularly in the beautiful town called Waimanalo. Imagine owning a home, going to work everyday near a beautiful stretch of the beach. But aside from nature, you also get to enjoy the easy access to living convenience amusement parks and resorts. These are exactly the reasons why a lot of people migrate to this part of Hawaii. They can’t get enough of the unique city-nature living. Waimanalo is nestled somewhere along the coastline of Oahu’s windward side. It’s a paradise to behold not just for its beaches and sight of the beautiful mountain ranges but also because of the cultural treats that it offers. In Waimanalo, you can find fresh coconuts, jams, as well as a wide range of local delicacies that you are sure to enjoy. This part of Oahu is considered as one of Hawaii’s family-friendly communities. Huge shopping malls and fancy restaurants may be scarce in the area but Hawaii Kai and Kaneohe, two of Hawaii’s most developed towns, are just a few hours drive away. The lack of too many commercial establishments is also one of the biggest come-ons about Waimanalo. People enjoy its laidback city living along scenic surroundings. Hawaiian culture is also highly evident in Waimanalo, which takes pride of a range of Ma and Pa shops – all of which beaming with a beautiful story to tell. While in Waimanalo, you’re sure to enjoy a lot of seafoods and fruits – sold at really great deals. All these make Waimanalo as one of Hawaii’s top destinations. No doubt why lots of tourists flock into this quaint city every year. It has also been a favorite spot for families who have been looking for the perfect place to raise a family. The unique beauty of Waimanalo has tremendously boosted its real estate. Through the years, people have invested in this city because of its unique and laidback vibe. The average sale price for Waimanalo properties is starts at approximately $494,950 – it’s a 53.9% increase from the rates around this time of last year. See? You’re sure to reap a huge return in investment year on year! And if you’re worried about budget, don’t worry; there are a wide range of properties for you to choose from. Those who are looking at a minimal investment can always choose single-family homes while those who wish to invest a little more can choose bigger properties like townhouses and commercial lots. What are you waiting for? Invest in Waimanalo real estate today! Listing courtesy of Oahu Realty.